QSense Explorer is the versatile instrument with endless possibilities. Thanks to a modular design and optional measurement modules, it enables you to extend your measurement conditions and combine measurements with several other technologies. Modular design with several options extends the measurement conditions and gives maximum flexibility. 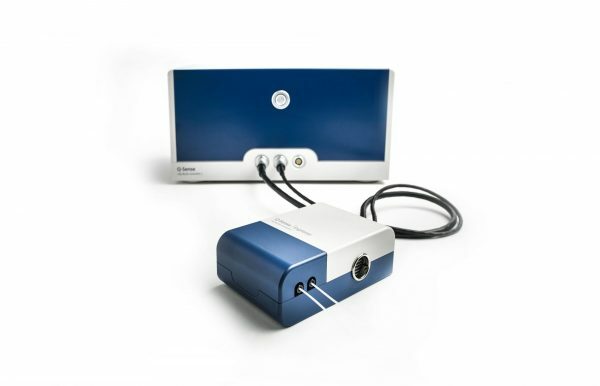 The compact chamber together with specialty modules enables simultaneous QCM-D measurements with microscopy, electrochemistry and ellipsometry. Data collection at high sample rate from 7 harmonics of the fundamental frequency gives maximum input for data analysis and quantification of mass, thickness, viscosity and shear modulus of the adsorbed film.